CNI provides Web Solutions to various kinds of businesses operating worldwide. Our Websites are unique and eye-catching, designed by using latest web designing tools like Web 2.0, which empowers our customers to represent themselves online confidently in the global arena to generate more revenue. Our web designers can change your ideas into reality by using their creative talent and knowledge of website standards and practices. CNI focuses on all the aspects of managing a web project involving Web Design and Development life cycle. The development cycle follows ISO Standards. Our technical goal is to provide a powerful Web-Based solution using n-tier architecture to our customers to face today's emerging Internet scenario. Websites that only use HTML and CSS are called static websites, a static website is the simplest kind of website you can build. Static websites are written in HTML and CSS only, with no scripting. The only form of interactivity on a static website is hyperlinks. Dynamic pages are the pages that change dynamically. Dynamic pages can change every time when they are loaded without making any changes. Dynamic web pages can also change their content based on what user do, like clicking on some text or an image. If the information stored in the database changes, the web page connected to the database change accordingly and automatically without human intervention. At CNI, we understand that an appealing website has to be complemented with perfectly organized SEO techniques and smart coding languages to add functionalities to your online presence. Our web design and Development services are strategic blend of graphic art, creative design, content planning and overall management of website. Synchronization website design with our brand and capabilities with Technology upgrades. Creation of a global appeal behalf of relevant quality content, optimal density of keywords and easily navigable site layouts. Provision of a robust, scalable and upgraded framework. Partnerships for cloud servers and other hosts for fast, accurate and complete download of your e-commerce portal or websites. Why Choose CNI for your Web Design Requirements? We at CNI, helps you stay way ahead of your competitors with innovative and user friendly responsive website design. We create responsive web pages for you which adjust their elements in accordance to the screen size-keeping the overall “look and feel” of the website intact. Corporate websites are designed to attract the attention of the perspective customers and loyal clients and for provide updated information in a usable and direct manner. The perceived value of your organization or business should reflect in the layouts, graphics, colors palettes and designs of your online presence. Skilled designers and developers at CNI are equipped to promote your products, services and business objectives with smart way and solutions for website design and implementation, customized application development, integration of E-Commerce tools and software’s and web maintenance services. Our skilled team of designers and developers at CNI understand and incorporate the advantages of this award winning CMS into your website. 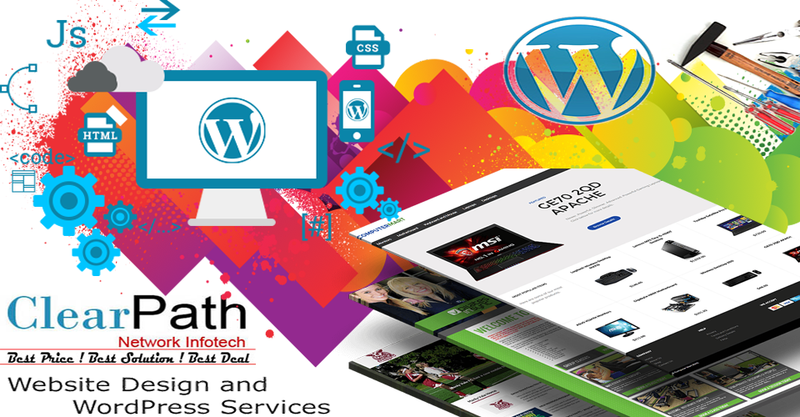 CNI helps you develop custom defined WordPress themes and designs for your website projects and lays out a robust framework of template systems, plugin architecture and other blogging tools in an affordable and reliable manner.